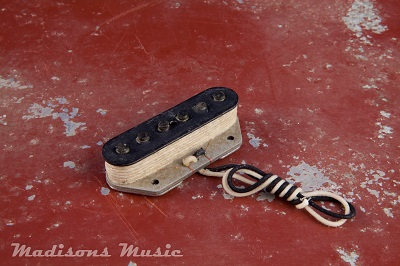 Our AGED style Pre CBS grey bobbin Esquire pickup is based off that infamous 60's Esquire tone. Slightly overwound in comparison to our 50's set. Hand wound lacquer dipped bobbins with Alnico 5 magnets and staggered poles. Our 60's Esquire pickup offer that natural bell like tone you expect out of an early Esquire! Our Esquire pickups have the charactor and individuality to stand on there own.